Hunting is as wide and diverse a category of people and ideas as you can get. For some people, hunting is a sport. To others, a sacred ritual. For many people, hunting is still an absolute necessity, more like a chore than anything else. 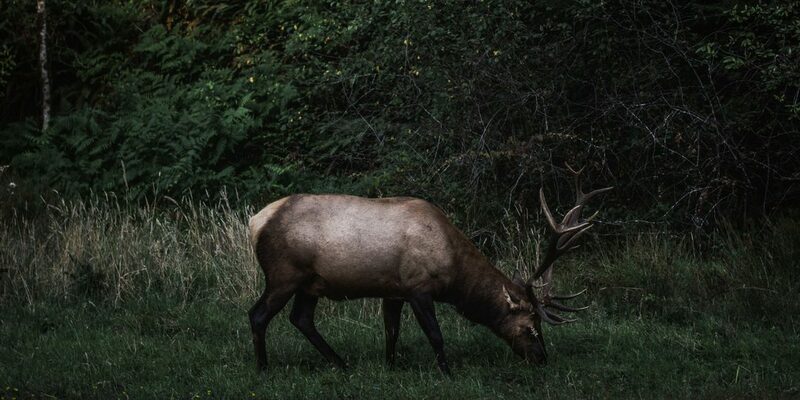 To some people, hunting represents the most intimate connection you can have with nature. For others still, hunting is primarily the backdrop against which they have created good memories with family and friends for decades. In addition to that, there are also lots of different styles of hunting–hunting out of a stand, spot and stalk hunting, public land, private land, and the list goes on. Well, no matter which camp you come from, many of the ingredients are universal. To be successful on virtually any hunt, you need skill, patience, and physical toughness. You need an understanding of the animals you are following, and you need to understand your own abilities and limitations. One of the most basic common denominators across all types of hunting is that to be successful, you need to have capable hunting gear. Gear that works well, that keeps you safe, and helps you be successful in harvesting the game animal you’re after. 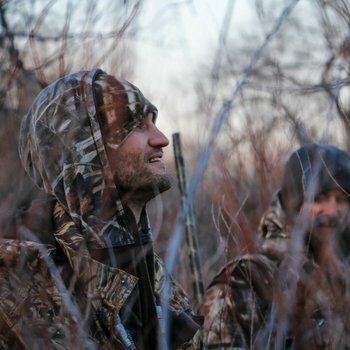 Being hunters ourselves, we understand all the mental and physical dynamics that are in play. We’ve spent countless hours reviewing the best hunting gear, both in the field and at home, and we’re here to point you in the right direction. So, What is The Best Hunting Gear? Specifically, there are a handful of foundational pieces of hunting gear that you need in your arsenal, before you head out to challenge the elements and take down some animals. 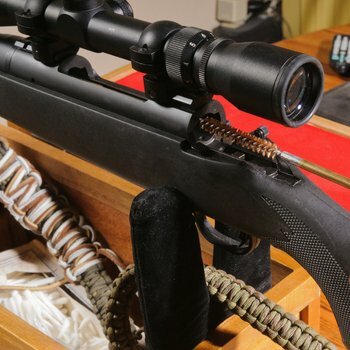 This one involves a couple different components–specifically rifles and ammo. At a foundational level however, it’s important to understand the shooting capabilities of today’s weapons. The best caliber for hunting isn’t determined by which ammo shoots the furthest or the loudest, or which rifle looks the coolest on forums. The best caliber is the one that helps you to be the most successful. At the end of the day, your gun and ammo are just tools. They have a job to do, and they should be judged by how well they do it. Choosing the caliber that is best suited for your hunt is where it all begins. After that, you can select a good rifle and ammo, and then build out your hunting gear from there. 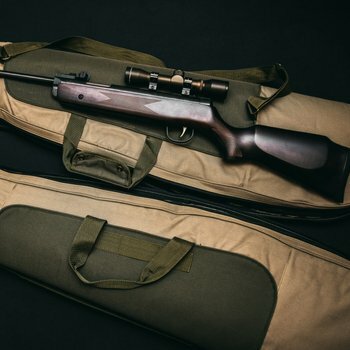 Once you are truly bitten by the hunting bug, you will likely end up with a few different rifles, chambered in different calibers, for different animals and styles of hunting. This is the most quintessential piece of gear for the modern hunter. After all the hours of planning and preparation, a solid hunting rifle is what allows you to shoot and kill the game you are after. Granted, there are other firearms that people bunt with. Shotguns, handguns, bows, and crossbows among others. But by and large, rifles are the backbone of today’s hunting gear. Without them, there’s pretty much no hunt. The jobs of a hunting knife are many. Obviously, if and when the time comes to actually skin, clean, and field dress an animal, your hunting knife will be on center stage, separating organs, bones, and sinews. But leading up to that moment, your knife will play several other roles. It will be your utensil at dinner then night before the hunt. It will help you carve an improvised tent stake and process firewood. 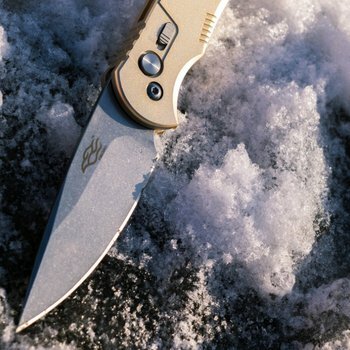 Knives have a hundred other jobs, but one thing remains constant–when the moment of need arises, you want a knife that’s quality. Hunting is a sport of many optics. Rifle scopes and spotting scopes are a couple of them, and binoculars are another. 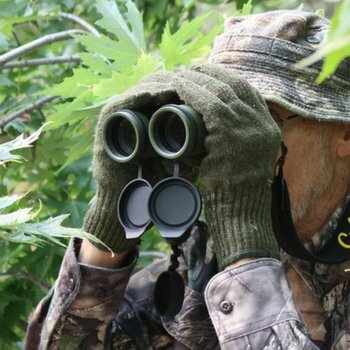 A good pair of binoculars can mean the difference of success or failure on a hunt. Especially in a true “fair chase” or “spot and stalk” type hunt (like many of the public land hunts out west). Hunting already involves long, exhausting days. By having a good set of binoculars, you can save yourself from having even longer and more exhausting days. Glassing frequently throughout the day helps get you on animals, and saves you precious time and energy. Making sure that your gear is in good working order is extremely important. And for your rifle, this means having a good gun cleaning kit. 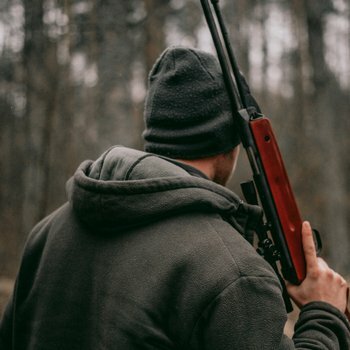 Depending on the weather conditions while you’re hunting, your firearms may be exposed to: rain, snow, dust, dirt, grease, animal remains, and more. Because your hunting rifles are tools, this is fine and totally normal. But when you are back home and you have the chance, cleaning your gun is an important part of of extending its life. Keeping your firearms clean will also ensure that they’re always ready to go when you have the opportunity to hunt. Part of owning firearms is being responsible in how you store them. Every year, scores of needless accidents occur because of improper or insufficient storage. Don’t let this be you! 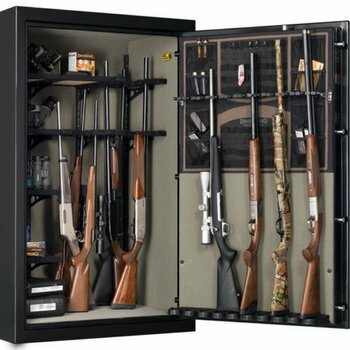 When it comes to hunting safes, there are countless options, so there is sure to be something that fits your situation and needs. We have reviewed the best bunting safes on the market, and share our recommendations with you. If you are looking for a gift for the hunter in your life (or if that hunter happens to be you), you’re in luck! We’ve handpicked several of our favorite hunting gifts ideas just for folks like you. Gift ideas range from the practical to the fun (or funny! ), and prices start right around $10. We hope our suggestions help you in your shopping!